It is comforting to see fatherhood as the blessed state of having one or more children, spending time with them, taking them to games and getting to know them. However, the complexities of contemporary life as defined by 21st century realities brings a struggle between the richness of the essence of fatherhood and the pressing need for financial success and social relevance. Sadly, this struggle drives the conflicting evidence that makes most of today’s fathers, on the one hand, increasingly viewing children and fatherhood primarily as necessary responsibility and obligation, as well as merely a vital role on the maturity continuum; and, on the other hand, few fathers emphasizing the role of children as a source of meaning, happiness, and stability. This is the reality of the times. When you hear the word, “father,” what images come to mind? What about the word, “daddy?” Depending on what type of father you had growing up, these words can elicit very positive or very negative memories and emotions. Responsible fatherhood cannot be proven with a blood test, it involves commitment, self-sacrifice, integrity, and unconditional love. Where is your fatherhood? Are you seeing the results that unlocks your highest meaning and joy? The time to hope we are fathering effectively is gone…it’s no longer enough to HOPE, it is ONLY enough to KNOW, UNDERSTAND and DEPLOY. 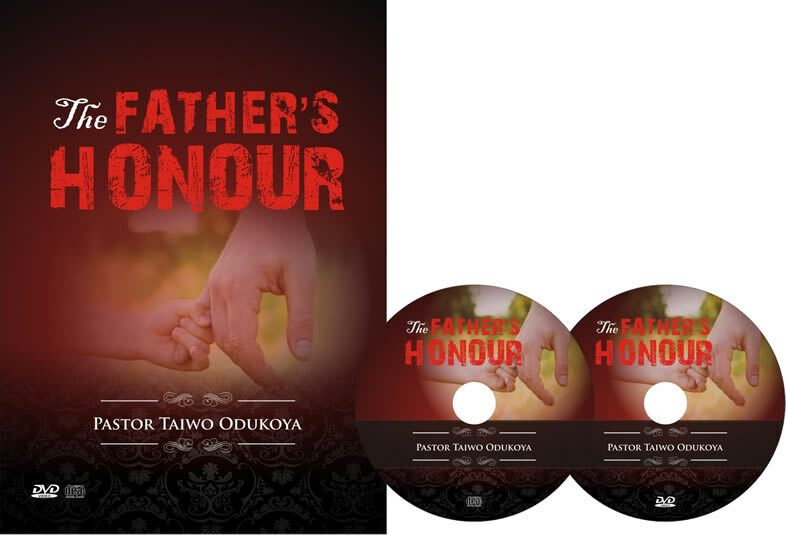 “THE FATHER’S HONOUR” is a two (2) audio and DVD titles (2 CDS) set. The critical goal is to share, teach and impart the divine ideas and perspective on fatherhood focusing on the timeless instruments of involvement, consistency, awareness and nurturance. Pastor Taiwo Odukoya leans on divine instructions and a highly practical resource background as a successful father in different generations to offer usable advice for the today’s father (doing well, fairly or poorly) seeking greater grace, quality and increasing alignments with God’s plan. Get ready for newness!